Life is never going to be straightforward or plain sailing for anyone… ever. 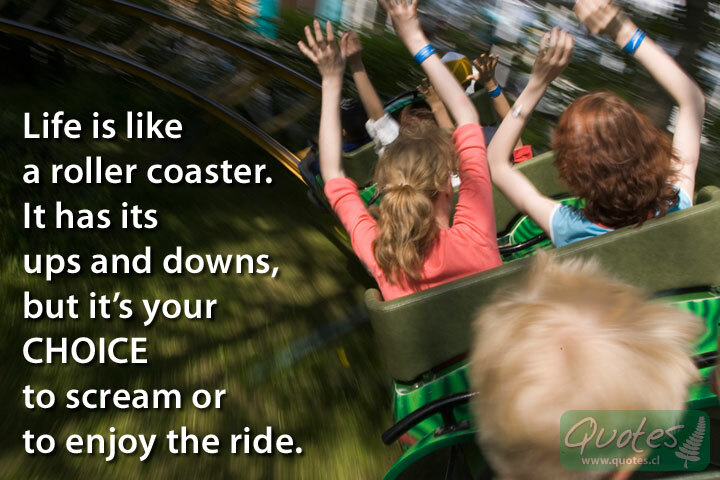 There will always be high moments and low moments, moments when you are up or when you are down… much like riding a roller coaster. But the choice is always yours, whether you want to be frightened or frustrated and scream your lungs out.. or to enjoy the thrill and emotion of the ride. to scream or to enjoy the ride.